Byzantine Hoop Earrings in 14K Yellow Gold . 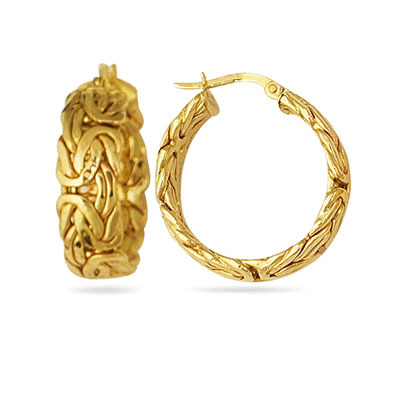 These enthralling Gold Byzantine Hoop Earrings are crafted in 14K Yellow Gold. Approximate Gold Weight: 5.10 Grams. The earrings come finished with omega backs. Sparkling earrings for the one who like simple things.